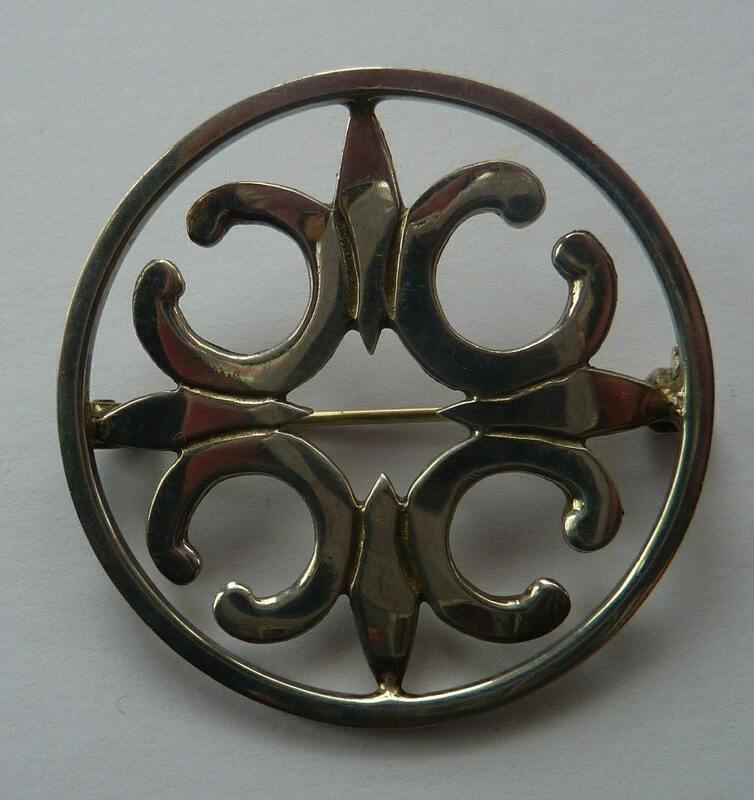 This is a lovely Scottish St Magnus brooch made in the mid 1970s by Malcolm Gray for Ortak. 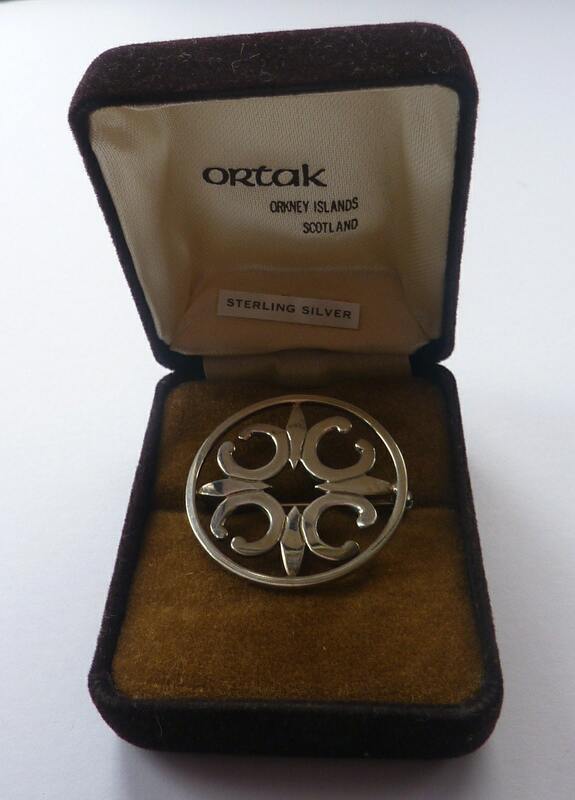 The Ortak company was originally founded in the late sixties by Malcolm Gray in Kirkwall on the Orkney Islands. The company grew steadily to become of the UK's leading manufacturers and designers of fine silver and gold jewellery. 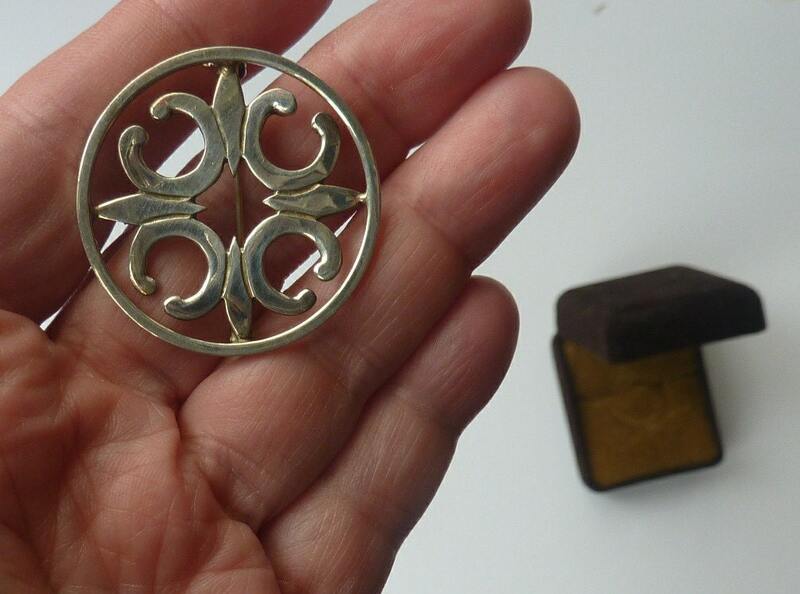 The beautiful brooch is in the St Magnus cross design. 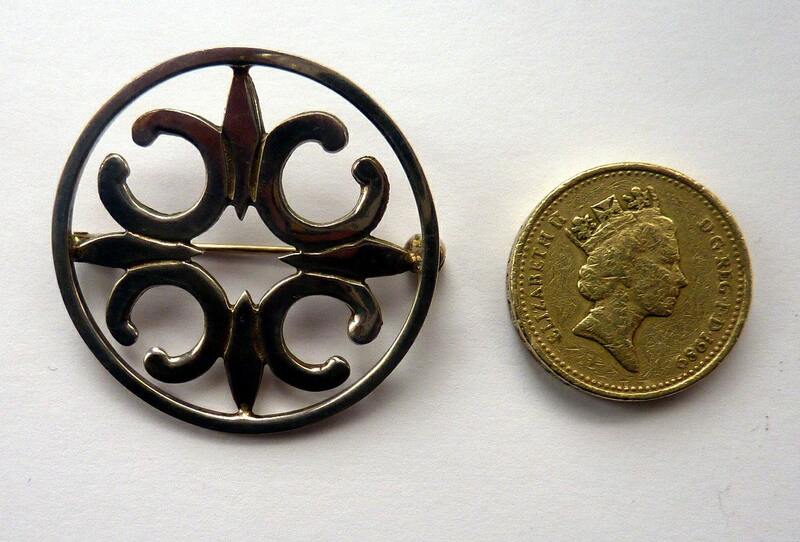 It is a nice large size being just over 3.5 cm in diameter. Fully marked with date and maker's marks to the reverse. The pin is a catch and loop. Vintage Ortak pieces are now becoming highly collectable - and this one more so as it comes in its original presentation box - made of a brown flock material and the vintage Ortak logo on the cream silk lining on the inside of the lid. 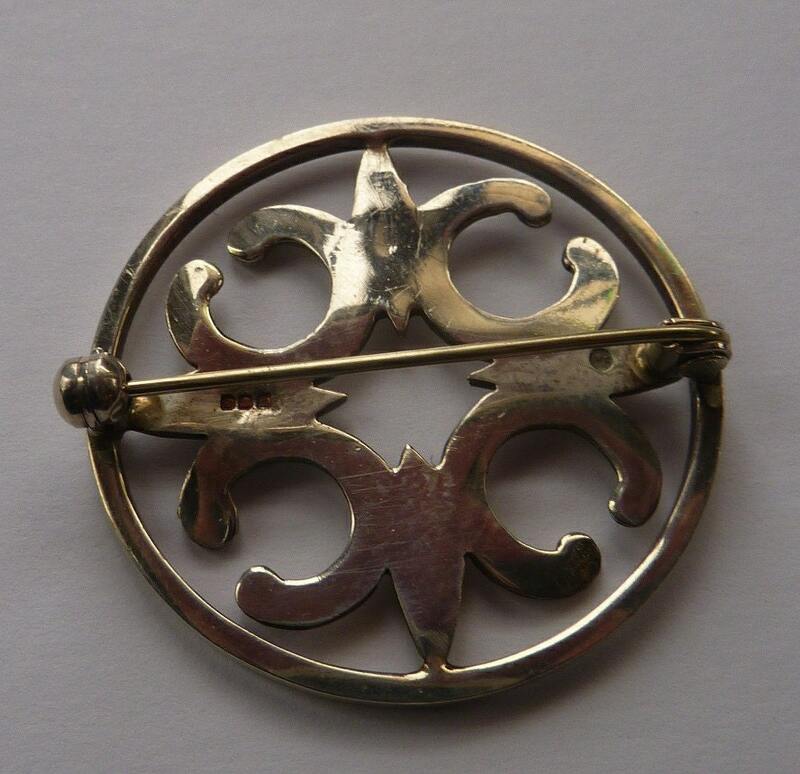 Very fair price for this lovely Scottish silver designer brooch. HAPPY TO POST INTERNATIONALLY, PLEASE ASK FOR A POSTAGE QUOTE FOR OUTSIDE OF THE UK.